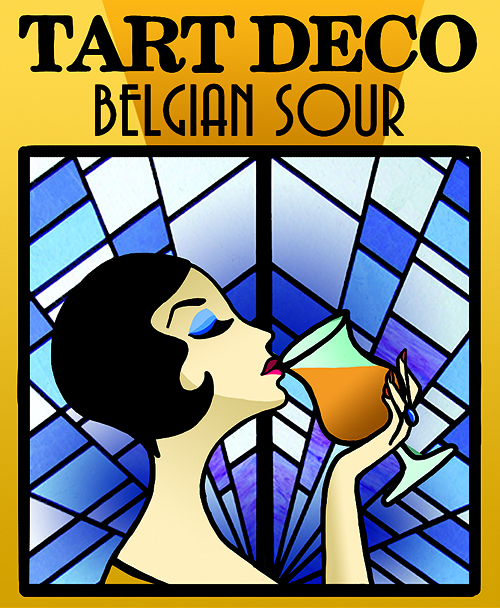 Tart Deco is one of two beers that we brew in Belgium. Over the years we have made many good friends in this industry and when we had the chance to brew in Belgium at the famous De Proef Brewery, we had to take it. Being able to tap the knowledge of are area that has been the leader in Sour Ales for hundreds of years was a great opportunity and no doubt has something to do with the fact that Tart Deco is so delicious. Tart Deco is a clean and easy drinking sour. This in not one that will hit you over the head, but sits in that nice place that makes it easy for multiple glasses. Brewed with a Pilsner malt base with Lacto, Brett, this beer has a slightly fruity, crisp and tart flavor.